True Balance International, LLC is committed to protecting your privacy. This Privacy Statement sets forth our current privacy practices with regard to the information we collect when you or your computer interact with our website. 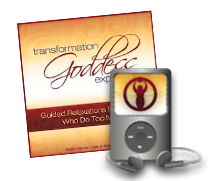 By accessing www.transformationgoddess.com www.shannvanderleek.com or www.podcastbath.com, you acknowledge and fully understand our Privacy Statement and freely consent to the information collection and use practices described in this Website Privacy Statement. Related services and offerings with links from this website, including vendor sites, have their own privacy statements that can be viewed by clicking on the corresponding links within each respective website. Online merchants and others who participate in True Balance International, LLC services are encouraged to participate in industry privacy initiatives and to take a responsible attitude towards consumer privacy. However, since we do not have direct control over the policies or practices of participating merchants and other third parties, we are not responsible for the privacy practices or contents of those sites. We recommend and encourage that you always review the privacy policies of merchants and other third parties before you provide any personal information or complete any transaction with such parties. True Balance International, LLC collects certain information from and about its users three ways: directly from our web server logs, cookies, the user, including in response to surveys and questionnaires and content voluntarily shared in forums. Visitors to our website may be permitted to register for certain services such as a weekly email. When you register, we will request some personal information such as name and email. • To fulfill your service requests for products or services. • To protect ourselves, our customer or our vendors from liability or to defend our rights, including investigations of fraud or misconduct. • To third parties who have agreed in writing to maintain such information in confidence and use such information solely in performance of services to us. • To respond to legal process or comply with law, including subpoenas. Some of these web beacons may be placed by third party service providers to help determine the effectiveness of our advertising campaigns or email communications. These web beacons may be used by these service providers to place a persistent cookie on your computer. This allows the service provider to recognize your computer each time you visit certain pages or emails and compile anonymous information in relation to those page views, which in turn enables us and our service providers to learn which advertisements and emails bring you to our website and how you use the site. True Balance International, LLC prohibits web beacons from being used to collect or access your personal information. We will provide you with the means to ensure that personally identifiable information in your web account file is correct and current. You may review this information by contacting us by sending an email – support@truebalanceinternational.com. True Balance International, LLC has the discretion to occasionally update this privacy statement. When we do, we will also revise the “updated” date at the top of this Privacy page. We encourage you to periodically review this privacy statement to stay informed about how we are helping to protect the personal information we collect. Your continued use of the service constitutes your agreement to this privacy statement and any updates. Copyright © 2018 True Balance International, LLC. All rights reserved.